Tags: Anarkali, Churidar Pajama, Pink, Red, Wedding Outfit. Reddish pink pure chiffon anarkali frock dress. 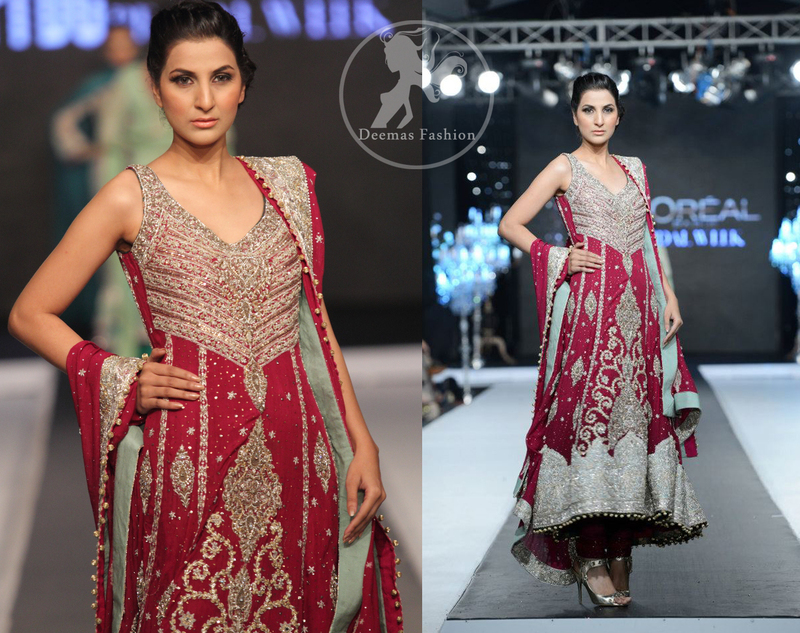 Pretty long design anarkali frock having heavy hand made embroidery on bodice and hemline. Center panel is embellished with large motifs and side panels are embellished with hand embroidered lines and different style. Small and large motif spray scattered all over the frock. Concealed with back zip closer. Reddish pink pure crinkle chiffon dupatta. 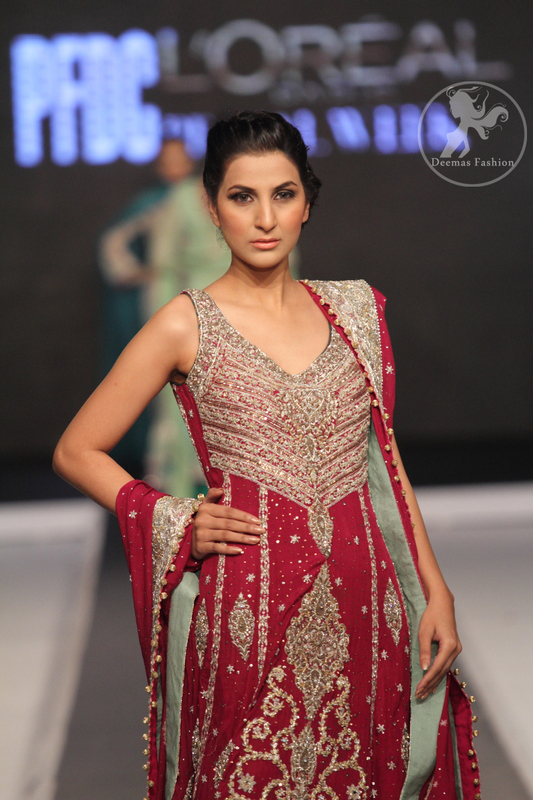 Dupatta is having four sided embroidered border. Reddish pink pure silk churidar pajama.Fully elastic / fixed belt and side zip options.